We are pleased that you are joining us in The Hague! 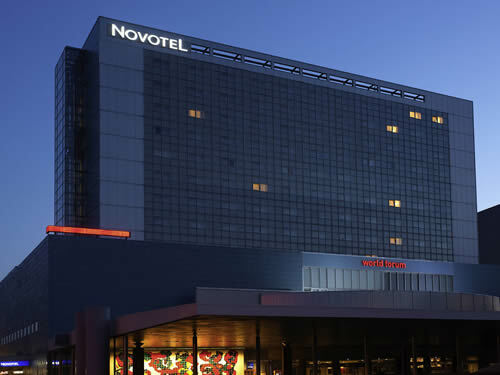 For your convenience, we have secured discounted hotel rooms located near the World Forum. After you have completed your online conference registration, select a hotel below to secure your hotel room. Reservations must be made online via the links below to receive the discounted rate. Reservation Deadline: Rooms will fill quickly. Reserve your room at your earliest convenience to guarantee availability at the discounted group rates. The conference room blocks are available until May 3. Based on availability, rooms may sell out before May 3. A credit card is required at the time of booking to guarantee a reservation and you will be charged a deposit of one night. Hotel cancellations received 7 days prior to arrival date will not be penalized and the one night deposit will be refunded. If you cancel within 7 days of the arrival date, your credit card will be charged the full amount of the reservation. Contact the hotel directly if you need to cancel your reservation. 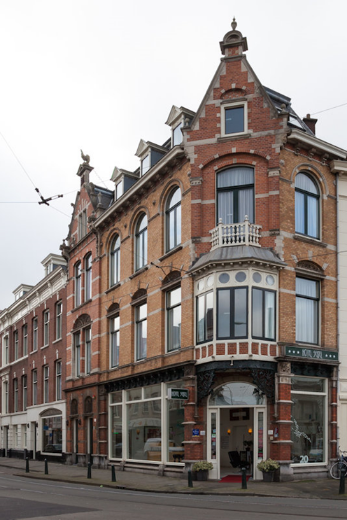 Wonderful location near both the city center and North Sea coast, attendees are perfectly situated to explore Gemeentemuseum, World Forum, Scheveningen Beach and more. Conference rate includes VAT, hot breakfast buffet, wi-fi and access to the fitness center. Parking is available for €19,50 per day. Located 400 meters from the World Forum (5 minute walk). Conference rate is available at €194 single use and €209 double use per night, plus city tax at €4.40/night. Rate available until May 3 or until discounted rooms sell out, whichever is first. 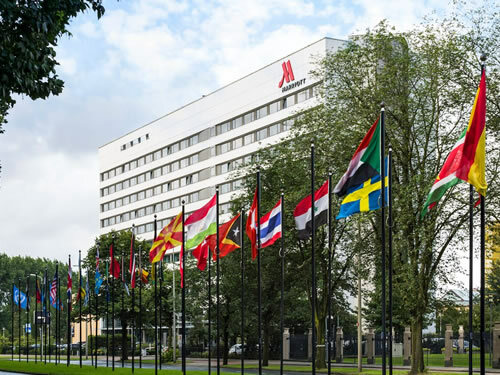 Conveniently located above the World Forum convention centre, the hotel is a nearby the seaside resorts of Kijkduin and Scheveningen, reachable within 10 minutes. Conference rate includes hot breakfast buffet and wi-fi. Located 100 meters from the World Forum (1 minute walk). Conference rate is available at €159 single use and €179 double use per night, plus city tax at €4.40/night. Rate available until May 3 or until discounted rooms sell out, whichever is first. Student Housing Options - Rates are not Guaranteed - Book today to save! 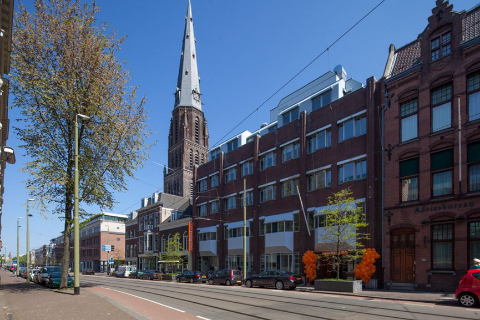 Offering clean, comfortable, super budget rooms right in the heart of Den Haag (The Hague), the easyHotel Hague City Centre is the ideal base for exploring The Netherland's third largest city. A great choice for business and tourist travellers alike, the hotel is within a few minutes of the major train stations and has a large number of museums, restaurants and attractions close by. All bedrooms are air-conditioned, fully heated, with en-suite showers and equipped with free wireless internet access. Located 2.4km from the World Forum (30 minute walk or 11 minute train ride). The ibis Styles The Hague City Centre is a hidden gem in the heart of the city. Modern designed rooms meet the original design from the man that created iconic buildings H.P. Berlage. The hotel offers 41 warm, welcoming and modern rooms with everything for a pleasant stay with breakfast included and free WiFi. After exploring the Hague visit our bar the Berlage Lounge Bar, a cozy lounge for a drink or a small bite. Take advantage of our Le Club AccorHotels online check-in possibility to enhance your stay. Located 2.6km from the World Forum (30 minute walk or 13 minute train ride). 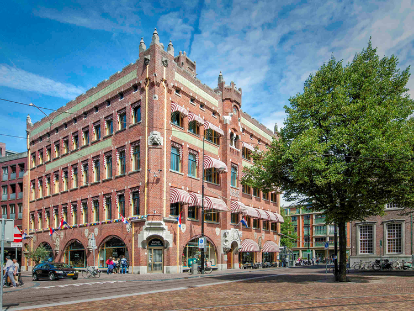 Hotel Sebel is a charming city hotel, located in the trendy Zeeheldenkwartier, one of the nicest city districts of The Hague. In this neighborhood you will find many authentic shops, friendly restaurants and cozy cafés. The rooms are divided over 3 buildings, one of which is a beautiful Art Nouveau building from 1882. All our rooms are different, both in size and in decor. Our 33 rooms are equipped with free Wi-Fi, cable TV and a bathroom with bath or shower. Located 2km from the World Forum (25 minute walk or 15 minute train ride).